This is very cool. 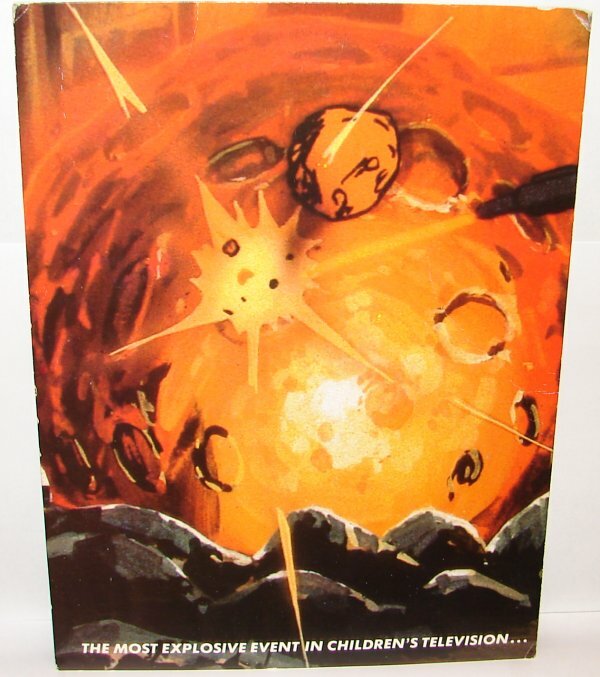 This is, or so the auction claimed, a 1986 Transformers Licensing and Press Book that was sent out to potential licensees (aka companies that could pay to make official Transformers merchandise). The front of the folder flips up to reveal an almost two foot tall stand up of Optimus Prime. This is very cool. My guess is this would have been displayed at licensing shows. 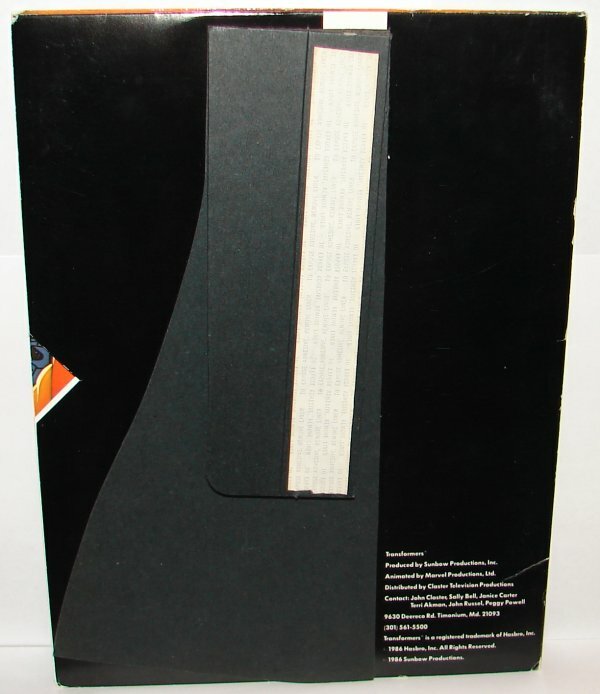 The back of the folder has an adhesive flap to hold the upper flap in place. 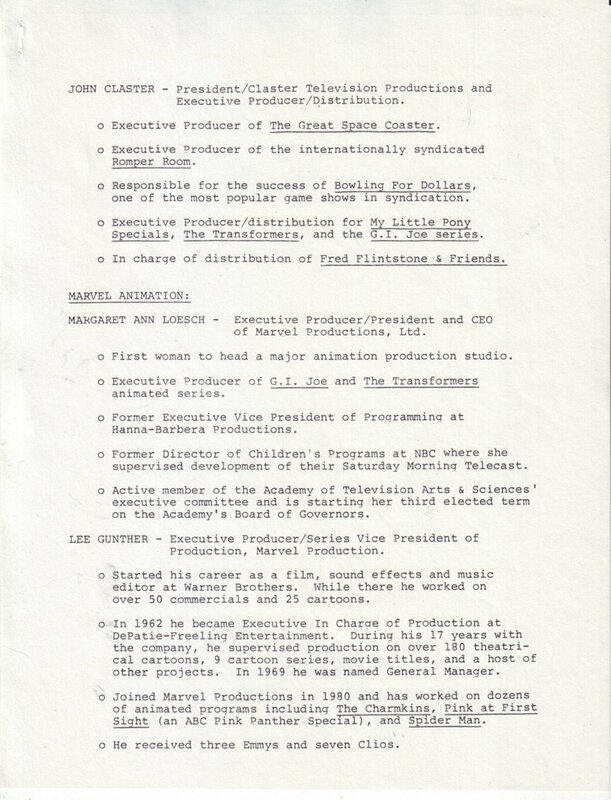 As you can see it’s dated 1986. 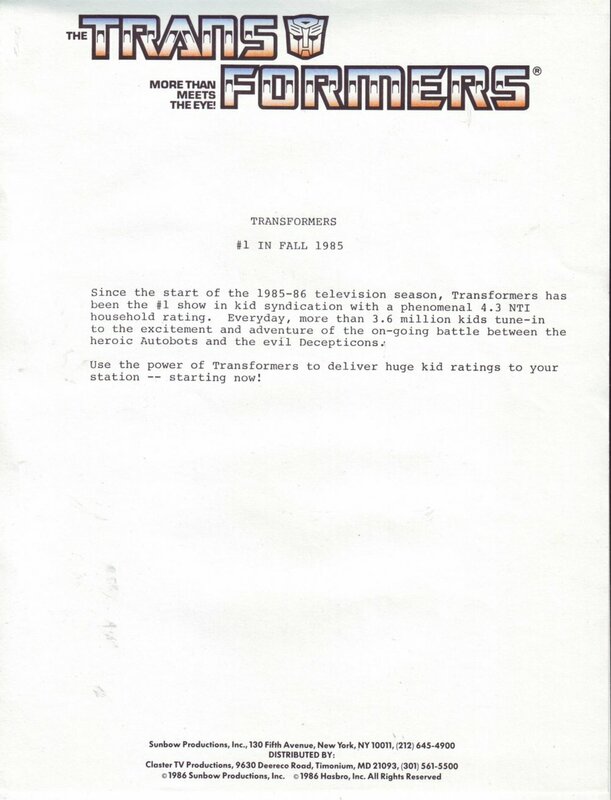 Inside, the first sheet is a short description of the ratings success of The Transformers cartoon. The next two sheet stapled packet continues to talk up the cartoon ratings and the toy line being #1 in America. It goes on to talk about what is being spent on advertising Transformers products, and that the comic was a top 10 Marvel book. It talks about the movie and the later canceled Transformers: Cereal. Finally it talks about ongoing promotions and licensing (more on that later). It ends with “The Transformers: When they wage the battle of Good vs. 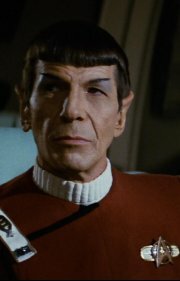 Evil — your ratings really win!” Okay, I must admit that sickens me a little bit. 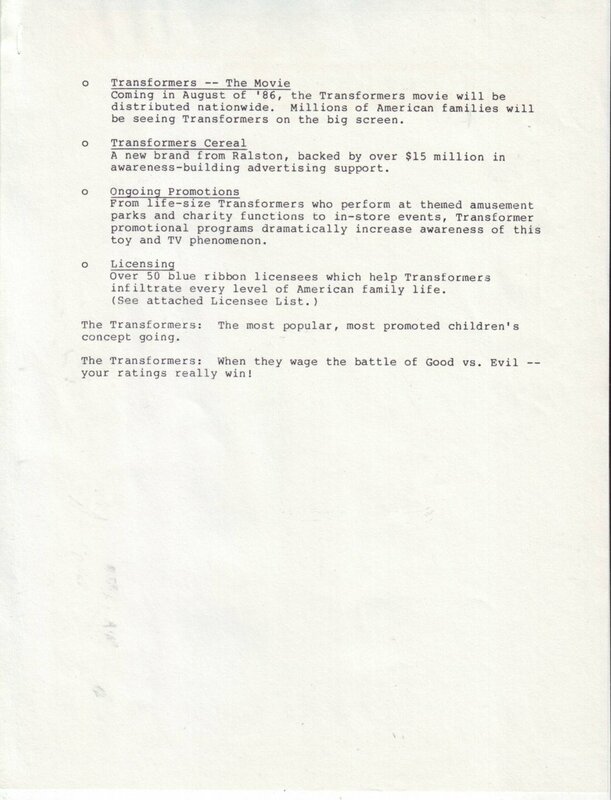 Of course, Transformers was and remains a business, no matter how much more it is to so many of us. This one I find really interesting. 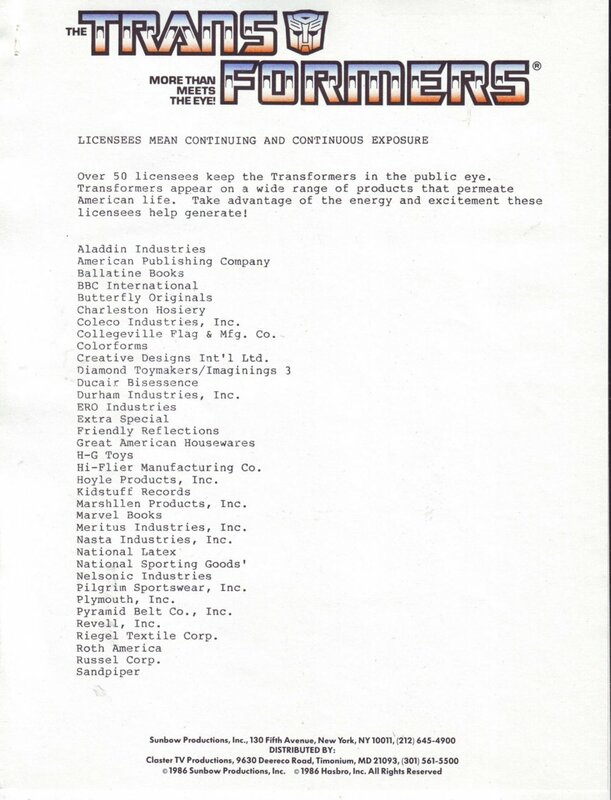 This is a list of companies who were licensed to make Transformers Products. 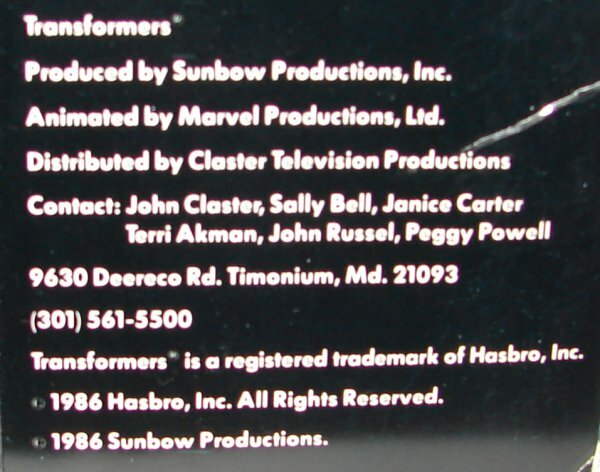 Many of these names will be very familiar to those of us who collect Transformers artifacts (see TFMuseum.com for m collection of 11,000+ Transformers items) such as Aladdin Industries, H-G Toys, Kid Stuff Records, Nasta Industries, Inc., Tyco Industries, and Unique Industries. What is most interesting is the ones I’ve never heard of before such as Ducair Bisessence, Great American Housewares, National Latex, Riegel Textile Corp., and Synergistics Research. 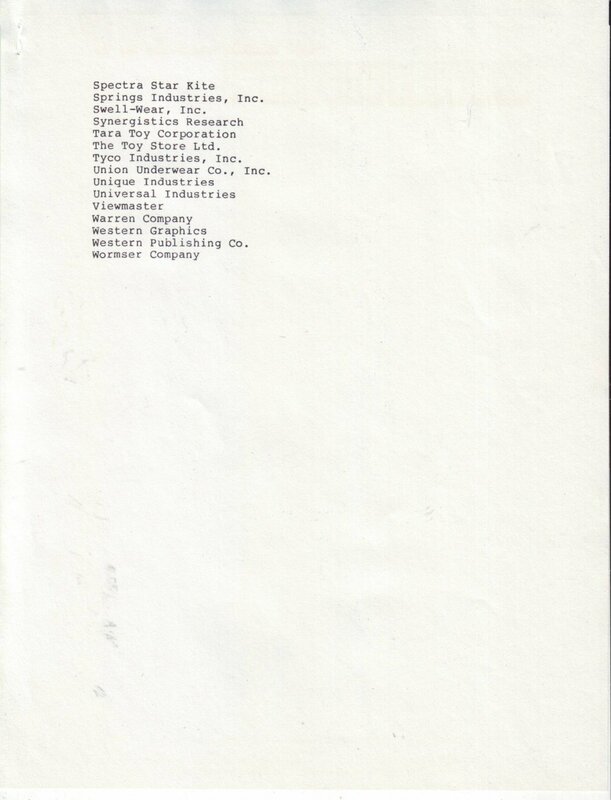 I am very curious what some of these companies may have made. Unfortunately, we may never know. 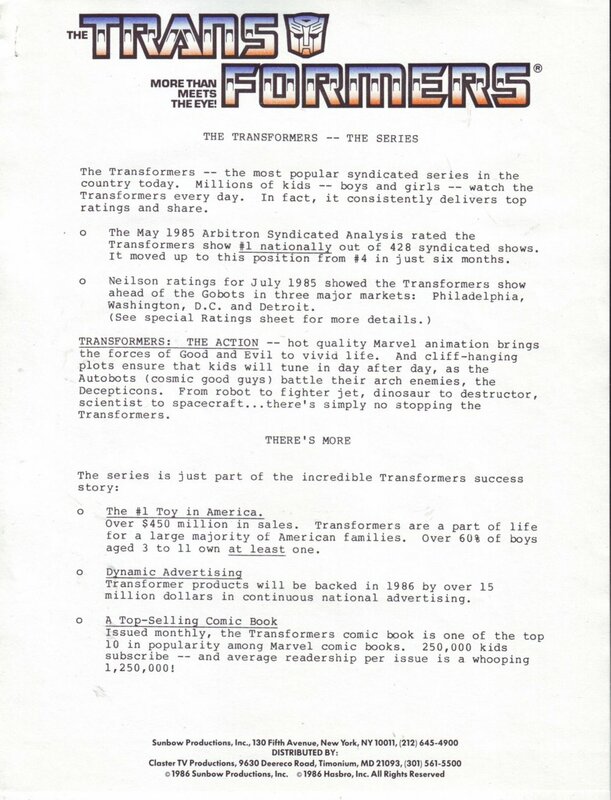 The last packet lists some of the history and accomplishments of the people and companies that helped make The Transformers a success. Well, that’s about it. I don’t think it’s as cool as either my 1986 Transformers: The Movie Theater Promotion Kit or 1986 Transformers Ziploc Salesman’s Sample Kit, but it’s interesting. 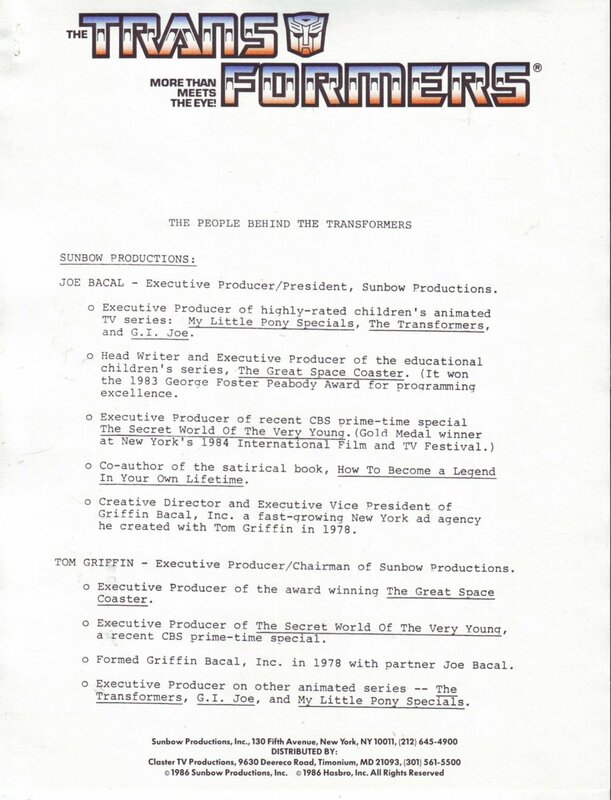 This entry was posted in Transformers, Transformers Artifact of the Week and tagged G1 Generation 1, Generation One, Licensing and Press Book, Optimus Prime, Transformers. Bookmark the permalink. National Latex – Prime Baloons and Punch Ball. Synergistics Research – Optimus and Hound Ball dart games.